A new project from Keith & Kristyn Getty birthed out of their own times of family worship, this project was recorded by the Getty’s band of top Irish & American musicians with children as the lead singers, and features classic hymns such as Be Thou My Vision, How Great Thou Art, and Jesus Paid It All. It is our prayer that this project will facility singing of deep theological truth in homes and build in our children biblical foundations that will last a lifetime! Download two FREE songs for your kids! Come to the release party in Nashville and join us for an exclusive event for children’s leaders and educators. 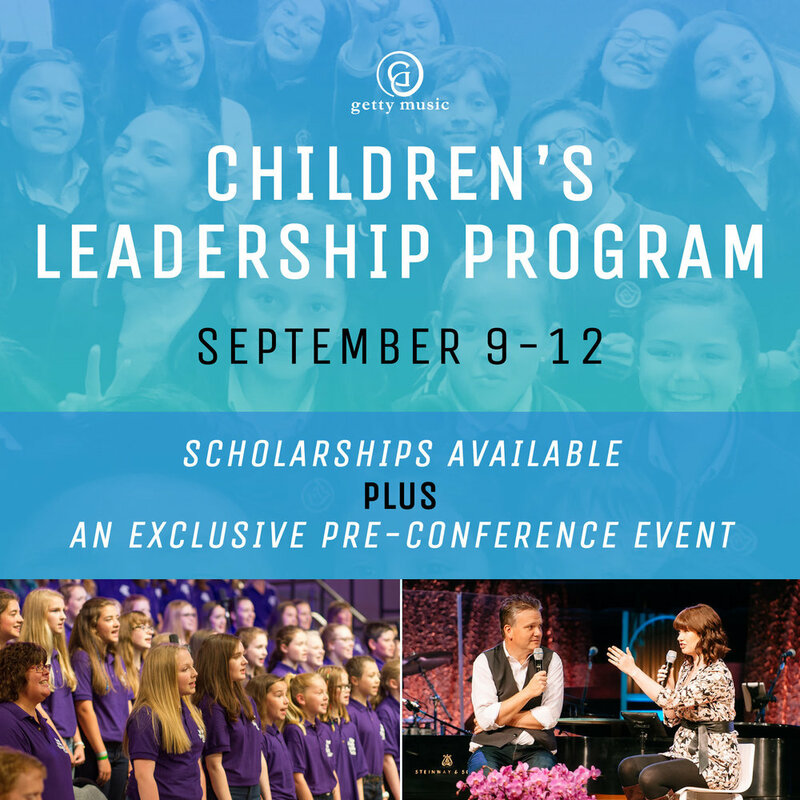 Up to 350 people will be given scholarships to attend the Getty Music Children’s Leadership Forum and the 2018 Getty Music Worship Conference – Sing! featuring John Piper, Ravi Zacharias, Paul Tripp, Joni E Tada and many more. Plus, you’ll receive over $400 in free resources for your ministry! © 2018 Getty Music. All Rights Reserved. Site by Mere.